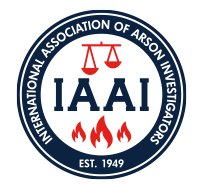 The Institution of Fire Engineers (IFE) Accepts International Association of Arson Investigators' Certified Fire Investigator (IAAI-CFI®) for Pre-Qualified Membership in the IFE. In late 2016, the IFE completed an extensive review of the training and qualifications of professional requirements and competency that are required to achieve the IAAI Certified Fire Investigator (IAAI-CFI®) designation and determined that the training, qualifications, and formal education of IAAI-CFI® designees meets or exceeds minimum requirements for membership in the IFE. The IFE will extend to individuals who have completed the rigorous IAAI-CFI® designation process appropriate levels of membership in the IFE in recognition of their individual accomplishments and contributions to the science of fire engineering.